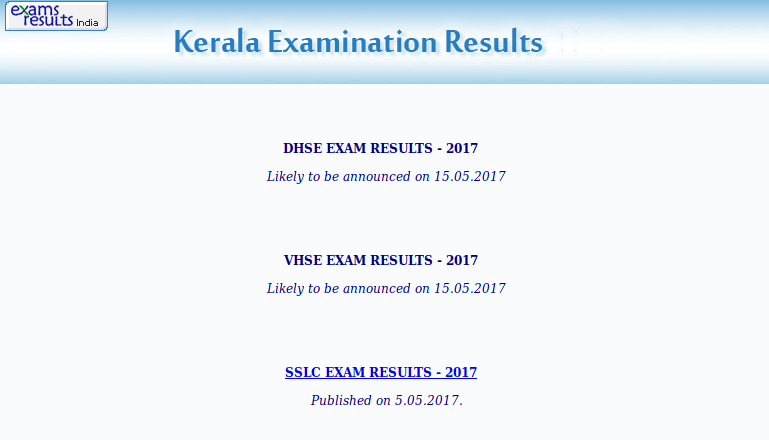 Kerala Plus Two Results 2017: Kerala Plus Two results 2017 are available on 15th May 2017 after 2PM on the official website of DHSE and the result websites provided by Kerala NIC. 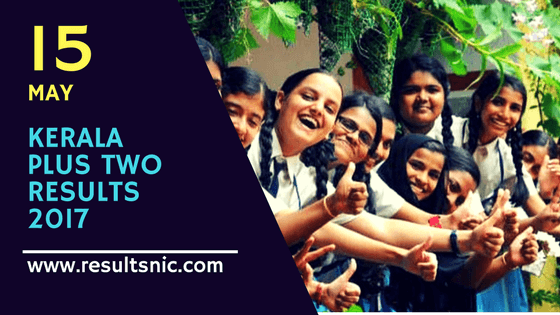 Plus two students from Kerala can get the result of Plus Two examination 2017 after the official release. Kerala Directorate of Higher Secondary Education (DSHE) conducted Plus two examiantion in Kerala from 8 to 28 March, 2017. More than 4.4 lakh students appeared for Kerala +2 Annual Examination 2016-17. Kerala DHSE Result 2017 will be available online after the official declaration. In 2016 was 94.05%, which was one of the best result in India. 125 students scored 100% and over 9,800 students scored A Plus in all subjects. Become best across all state boards in India. The Kerala Plus Two Result 2017 is expected to publish the Kerala DHSE Result 2017 on 15th May, 2017 at 2 PM. The current trend is the pass percentage is steadly rising. So in 2017 we are expecting a pass percentage of 95%. Candidates not satisfied with their score / marks can have the facility to apply for revaluation of few subjects or all subjects. Students can apply revaluation after 10 to 20 days after the result release. The board officially notifies the students intimating the revaluation dates and fee for application. Candidates can apply in those days.